"There are 15 individually designed rooms located in the original manor house, each fitted throughout with the Louis Collection of furniture by award winning designer John Reeves. This stylish finish sensitively blends with original features of each room. The bathrooms, each with their own layout, have been created by award winning designer Sarah Ireland, who has used a combination of large ceramic tiles, glass, big baths, monsoon showers and tasteful mosaics. All of our rooms have a working desk space, bath robes, complimentary spa toiletries, wireless internet, fridge, telephone and tea and coffee making facilities. All rooms are air conditioned ensuring you have complete control over your room temperature in the summer and the winter. 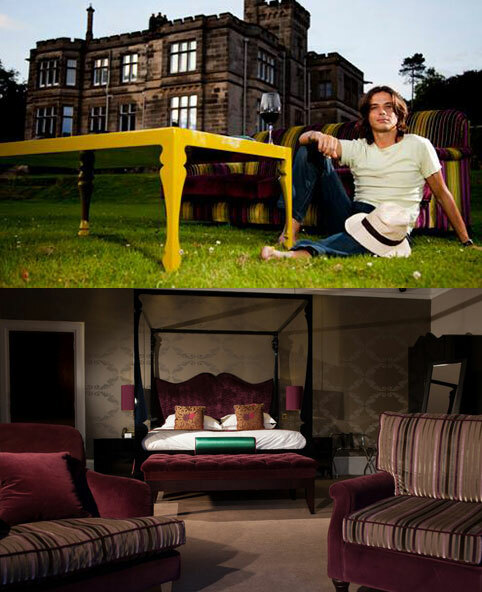 Our latest creation – 3 NEW bedrooms situated in The Butlers Lodge within The Manor. Check them out, XO, Paradis and The Richard, seriously stylish and with their own lounge downstairs, a perfect peaceful haven with a shot of glamour." 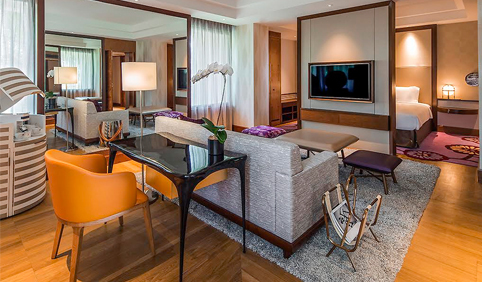 This project included over 300 specially designed desks and console tables for the Sentosa Resort and Spa, Singapore. The desks are cast in recycled aluminum with deep black lacquer finish and silver leaf or gold leaf drawers. This is an example of a site specific development designed upon request so please don't hesitate to contact with similar projects.